Unfortunately, there is fraud and embezzlement being committed at community associations throughout California as well as across the country every day. We have written about this issue in the past; follow this link to an article we wrote that describes how SwedelsonGottlieb recovered $500,000 for one association after it was discovered that the former manager had systematically looted the association’s reserve account. As is the case with most instances of embezzlement, it was preventable. Not one of the board members was reviewing the financial records, and they were not requiring that they be provided financial reports. We were reminded about this issue by recent news stories involving the owner and an employee at a now defunct management company who were recently arrested with numerous charges pending. It is alleged that they together defrauded a large southern California homeowners association they managed and embezzled at least $900,000. And there is speculation that monies were taken from other community associations as well. Many of us in the community association industry heard about this story some time ago and were not surprised by the arrests. What surprised us was how long it took law enforcement authorities to act. As reported in the press, Kristin Davis, the owner and CEO of Paradigm Management Group, and her Chief Financial Officer, Melissa Hoff, were arrested recently for allegedly embezzling approximately $900,000 from the Big Sky Homeowner’s Association in Simi Valley. Follow this link for the Sheriff’s press release and this link for an article that was published in the Ventura County Star newspaper. As reported in the Sheriff’s Press Release, in February 2008, Davis’ management company was allegedly contracted by the Big Sky Homeowner’s Association to manage the community. While managing the community, Davis and Hoff allegedly systematically embezzled approximately $900,000 from the Association’s accounts utilizing several schemes all at the same time. Soon after the thefts were discovered by the Big Sky Board of Directors in October of 2009, Davis, according to the published report, closed down Paradigm and opened a similar company named MK Management. Detectives from the Sheriff’s Office Major Crimes Unit conducted an extensive investigation into the allegations which resulted in arrest warrants. The Ventura County District Attorney’s Office filed 12 felony counts against Davis, ranging from grand theft to insurance fraud. Hoff was charged with grand theft and criminal conspiracy. You may be wondering why it took four years for the authorities to act. It turns out that prosecutors are reluctant to prosecute these types of cases. We have learned through the work we have handled relating to embezzlement situations at other California community associations that it takes an enormous amount of time to sift through and organize the evidence of all of the money taken, usually over a specific period of time and through various transactions. Further, we are told, these cases are not all that easy to take to trial, as there is the concern that the jury will be bored by all of the financial documents that need to be presented as evidence. Unfortunately, the above story is not an isolated situation. Over the years, our firm has assisted a number of associations in recovering thousands of dollars taken by their manager or management company. For example, over the last few months we have received calls from a few associations that were formerly managed by another small Los Angeles area management company that is no longer in business. Each of those association boards discovered that the association had monies taken by their former management company which had systematically overpaid itself on multiple and duplicative invoices, and the boards did not see the losses until it was too late. The good news is that the amount that each association lost was not substantial. And fortunately, we were able to recover some of the money before the company closed their doors, disconnected all phone numbers and stopped replying to emails. Our firm subscribes to a few news feeds of stories appearing in the press that deal with condo and other homeowner associations. We see reports of embezzlement at community associations all over the country all the time. In fact, if you google “condo embezzlement”, you will find many of those stories. 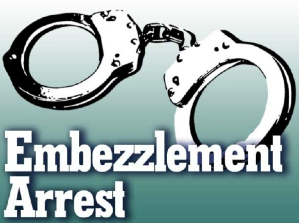 Embezzlement is preventable. In most cases, there are red flags that cause, or should cause, the need for further investigation and sometimes arrests and prosecution. •	Schemes concerning credit cards, with the manager or another employee using the association’s card to buy things that never make their way to the association. Investigate prospective property managers carefully. Most are good, honorable, educated people who work hard for their association clients. Unfortunately, as in every walk of life, there are bad apples. In preparing this article, we were reminded of a community association law firm that collected delinquent assessments (not SwedelsonGottlieb or our affiliate Association Lien Services) that reported that its bookkeeper had embezzled monies that had been recovered from delinquent owners. And do not think that this happens only to community associations – there is the story of the Los Angeles County Bar Association that reported a few years ago that a bookkeeper had embezzled monies from a special account that no one seemed to be watching. Yes, as it turns out, it was very “special”. And do not think that it is only managers that commit fraud and/or embezzlement; anyone at an association that handles money has the ability to commit these crimes. We have provided legal representation to associations that have been victimized by members of their own boards of directors. Sometimes, these board members just write checks to cash or abuse the association’s credit card for their own personal purposes. In one case we handled, the treasurer was also the bookkeeper for her husband’s pool supply business. She created phony invoices, paid them from the association’s account and pocketed the money. Not even her husband was aware of what was going on, at least not until the association’s accountant figured it out when conducting a review. Keep control of your association’s funds. Generally speaking, there are two funds of moneys in community associations: operating accounts and reserve accounts. Regarding the operating account, set a dollar figure above which the community manager will need the co-signature of at least one board member on all checks going out of that account if this is an on-site manager. When dealing with portfolio management (and we know some may disagree with this position) we do not see that there is any reason for the management company to have check signing authority for any amount. Have two board members sign the association checks so as to ensure that one board member cannot be in a position to take association funds without the assistance of at least one other board member (and yes, again, embezzlement is not just limited to managers). Although it may seem burdensome for both the community manager and the board members to have to sign checks, we can’t imagine any non-criminally minded board member who wouldn’t trade that inconvenience after the embezzlement occurred! Be proactive and require your board members to assume these responsibilities, which will protect the funds belonging to the association and its members. As for reserve monies, the Civil Code requires that two board member signatures be required for the withdrawal of or payment of those funds. Managers and management companies cannot sign those checks. •	an income and expense statement for the association’s operating and reserve accounts on at least a quarterly basis, and •	the reserve study annually. Civil Code Section 1365.5(e). If an association’s governing documents impose a more stringent standard of review, boards must follow the stricter requirements. And there are other common sense steps that can or should be taken if the Board is not getting copies of bank statements (it is not that difficult to ask the bank(s) to send a duplicate original of all bank statements to the association’s treasurer), or financial reports. Insist that they be provided and if they are not, immediately investigate and deal with the issue of why not. The lack of any reporting is a red flag that there is a problem. Review credit card statements to ensure that the board knows how they are being used. Review invoices to ensure that they are legitimate. Make sure that the association is not overpaying the management company or vendors who have been known to submit multiple invoices sometimes getting paid multiple times for the same work. And follow this link for an article published by Community Association’s Institute (CAI) titled Preventing Fraud and Embezzlement for additional recommendations on how to avoid being a victim of these crimes. What should you take away from this article? Embezzlement is not uncommon, and there are ways that community associations can avoid being victims. For the board, with the assistance of management, complying with the requirements of the Civil Code as referenced in the article, reviewing the association’s bank records and financial reports will go a long way to ensuring that your association will not fall victim to criminal acts. Be careful out there!